So, with spring pretty much upon us, and summer on the horizon, now seems like the perfect time to think about our summer travels. With that in mind, we’ve chosen ten of the best free travel apps, to help you embark on that great escape. It’s hard to imagine life without Airbnb. They’re a great alternative to hotels, and can provide a real home away from home, together with their individuals quirks and no shortage of home comforts. Search whole places to have to yourself, or cheaper room-only options. Airbnb covers 34,000 cities around the world, and the app is easy to navigate with listings displayed on the map. You’ll probably have heard of Skyscanner, a great app that finds you the best prices for your flight. But Hopper goes one step further… it tells you when to snap them up. A notification will come up on your phone to let you know that the time is now. And then, you can book a flight in less than a minute, according to Hopper. Just to throw another app into the pot, App in the Air is one for the day of the flight, rather than the booking of it. Complete with real-time flight updates, last minute changes to your gate number, and even a map of the airport, there’s no excuse for missing your flight! We’ve looked at apps for flights, and one for accommodation. This one does the lot. 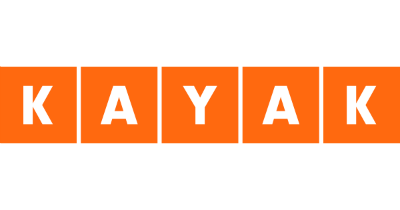 KAYAK’s big selling point is that it searches all of the hotels, flights and hire cars, then gives you the best deals. Once you’ve decided on these, it puts them together in one handy itinerary. Should the price change before you’ve had a chance to book it – KAYAK will let you know. Who knows? It may even get cheaper! Result. An alternative to KAYAK is TripIt, another very smart app that organises your booking emails into an easy to digest plan of action for your trip. It’s been around a while, but this award-winning app is still one of the best of its kind, and dead easy to use. It sifts through your booking emails and puts them in order. Then when it comes to needing your documents later on, they’re there at your fingertips. So you’ve used the apps above to book your holiday, get the cheapest flight, and not get lost at the airport. You’ve now arrived at your destination, and you want to get stuck in. Introducing Foursquare, an app that will help you find the best places to go for a spot of dinner, a big night out, or places to go during the day. Use the filters to find just what you’re after. Here’s another great app to help you get acquainted with your new surroundings. Headout won’t just tell you about the great places to grab some food and drink, but it’ll let you know about any gigs that might be happening that night, or events you might want to check out. And sometimes, booking tickets through the app might even get you a discount. Think of Citymapper as being like Google Maps on heat. When it comes to getting around a city using public transport, it’s got all the real-time departure times, cycle routes, estimated journey times, Uber integration etc, but it does it with a smile on its face. The app is easy to use, and like with Google Maps, you can download maps for use offline. When you’re abroad, you’ve got to try at least a few phrases, right? Maybe you want to go one step further and communicate with the locals a little more effortlessly. You may be surprised that Duolingo is on the free list, and there a couple of dozen languages to choose from. The Lonely Planet guides have long been regarded as amongst the most trusted travel guides out there. And now, you can carry them around on your phone, though in slightly less detail than the books. Download the guide for your destination, and then search by category. From places to see to place to eat, it’s got you covered, and you can download all the information you need for viewing when you’re offline, so no draining your data. If you’ve got a favourite travel app that we haven’t mentioned, don’t keep it to yourself! Tell us below the line. Do you need to upgrade your tablet?